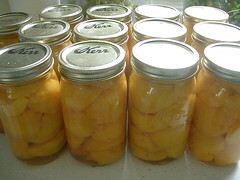 Finished canning two crates of Colorado peaches. They are so good this year – full of flavor. This is one fruit that Olivia could eat at every meal.